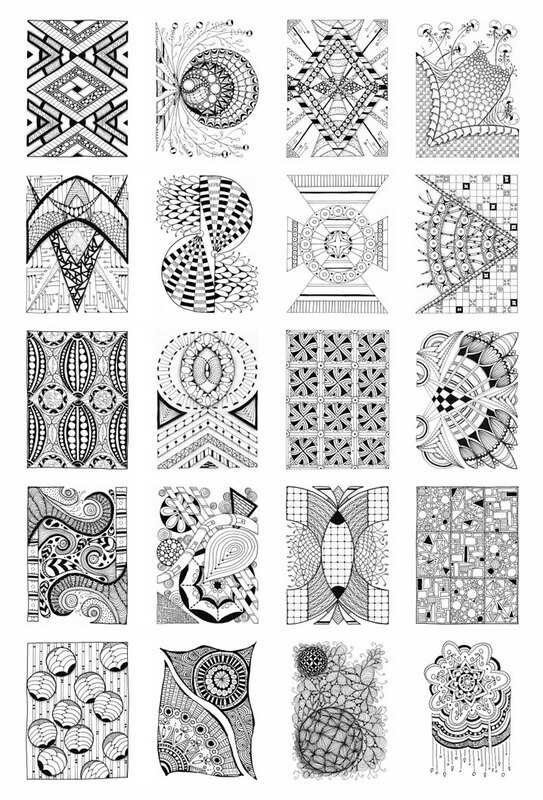 20 of my early coloring pages–more “doodle art” style coloring pages. 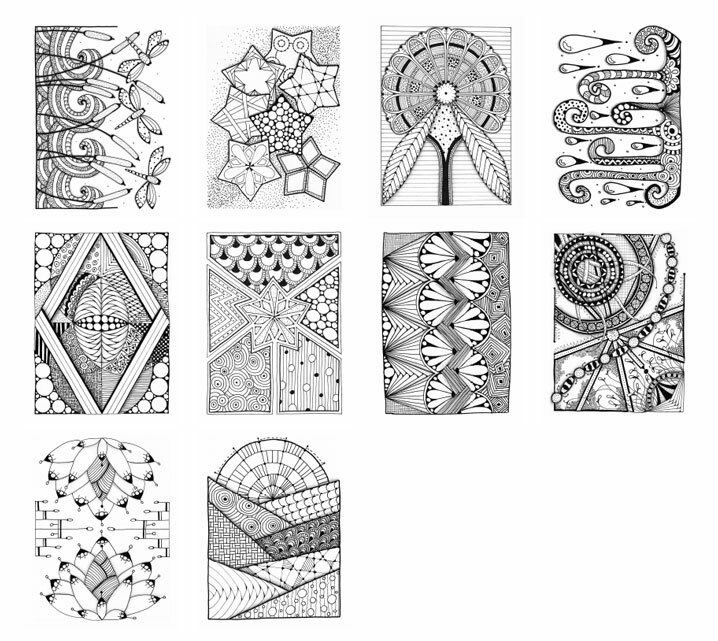 10 bonus coloring pages–add 10 of my favorite doodle pages as a bonus. Hand-picked by Jennifer, add an additional 10 pages to your book for only a couple of dollars! 20 of My Early Drawings! 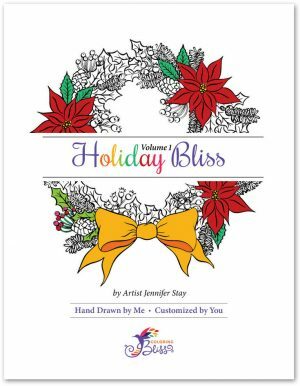 Sometimes called “Doodle Art” this book includes 20 of my early coloring pages. For only a couple dollars more you can also add 10 of my favorite pages as a bonus. 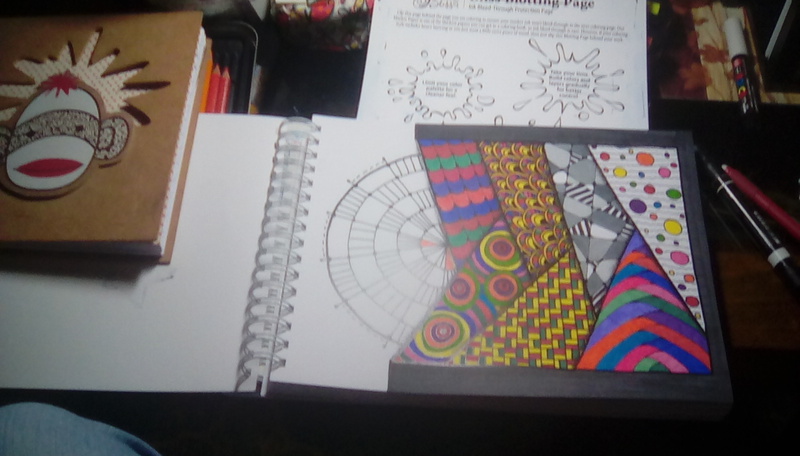 It’s spiral bound at the top of the pages (for left and right handed colorists); and is printed on your choice of my favorite coloring papers. I Absolutely am so happy with my book and service! I was so excited when my carefully wrapped and boxed new Bliss Book came! Original Bliss 2, along with the bonus pages offered – I also asked for the graysacale 10 page addition. All 10 of those flower photos are so good. I definitely want to research coloring these before diving in. The paper is so fantastic too! I will order again! 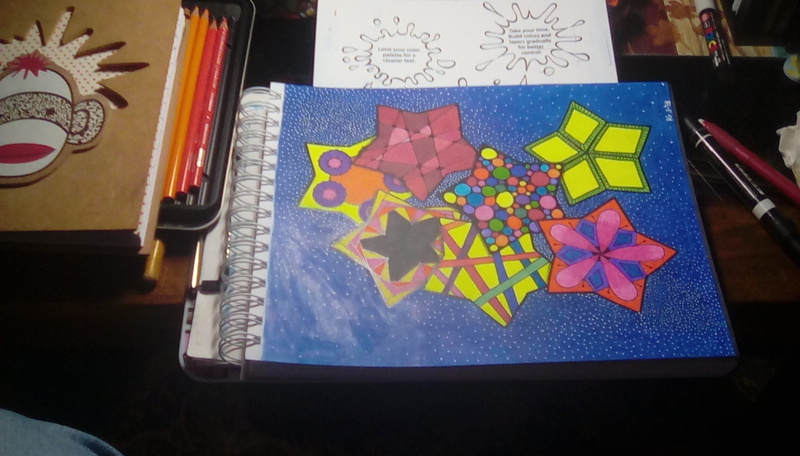 Markers and coloring pencils work great on the mixed media paper! Being a mosaic artist draws me to the abstract, and I don’t have to grout it when done! ?. Such a happy customer! Need to watch more Bliss limited pallet videos!?! I ordered a customized Original Bliss . 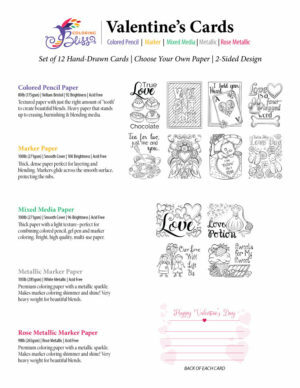 I love the paper quality and the designs are wonderful. I didn’t realize the images were not crisp lines, they all have a bit of shadow around them, this is probably helpful for adding shading, but everything looks a bit blurry because my eyesight is not the best. I think my eyes keep trying to bring the pictures into “focus”.